Esteghlal was held to a 1-1 draw by its arch-rival Persepolis in the Iran Professional League (IPL) at the Azadi Stadium on Friday. Tehran derby was watched by about 90,000 spectators and for the sixth straight time ended in a tie, Mehr News Agency reported. Persepolis, who suffers from managerial problems these days, was the better team in the first half. They dominated the match and kept control of the ball but failed to benefit from their chances. Six minutes into the second half Hadi Norouzi was tripped by Esteghlal keeper Vahid Taleblu in the penalty box. 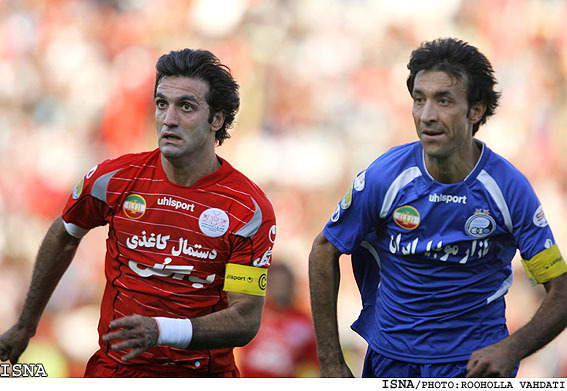 Mehdi Shiri could not convert the penalty kick and Adel Kolahkaj scored for Persepolis on a rebound. After that Esteghlal put Persepolis under pressure. They were the better team and eventually equalized the match. Hossein Kazemi's header in the 55th minute leveled the match. Esteghlal maintained control of the match and created some good opportunities, but their strikers could not take advantage of them. The spectators protested to the way the two teams played in the derby. 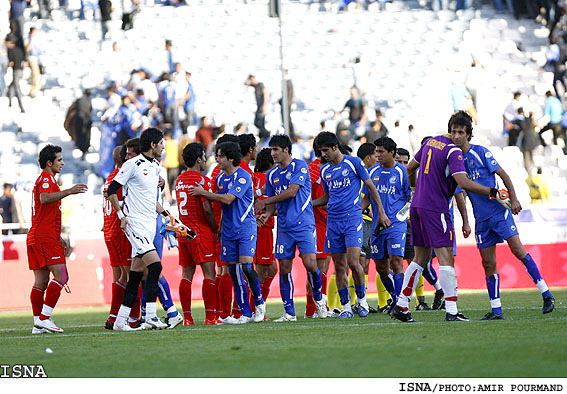 Esteghlal and Persepolis players have been widely condemned by the fans of being in collusion. This match was considered to be the most important derby in Asia and the 22nd most important match in the world in June 2008 by World Soccer magazine. Esteghlal and Persepolis have played together 67 times in which Esteghlal has won 20 times, lost 16 times and 31 matches ended in a draw.